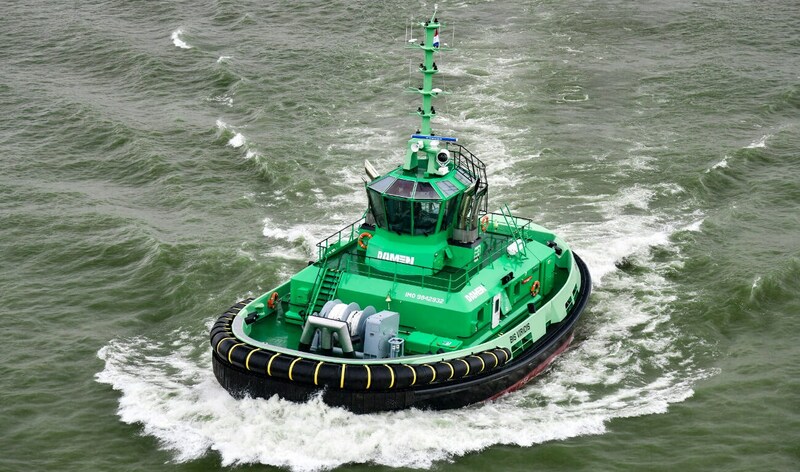 Home › RSD Tug 2513 › RSD Tug 2513 "Bis Viridis"
The RSD Tug 2513 is a compact and powerful tug. Fully focused on ship-handling, the vessel offers 70 tonnes bollard pull in both push and pull mode in the safest possible way by its always bow first principle and patented Twin Fin skeg design. The Bis Viridis, meaning double green, is the first European tug with a conventional propulsion system to comply with IMO Tier III regulations, based on a competitive SCR system.